Disconnect and listen to the sounds of the turbulent river. All bedrooms are equipped with a generous bathroom, comfortable beds, WiFi and TV. Breakfast is included in all room bookings. All of our bedrooms are available to book as single rooms. Our rooms are equipped with comfortable beds, a TV, WiFi and generous bathrooms that we hope will make for a pleasant stay. Our ground floor rooms even have a French window to enjoy the sounds of the river and the chirping of the birds. Breakfast is included, of course. Price per night in a single room, weekdays: SEK 1,235 incl. VAT. Price per night in a single room, weekends: SEK 900 incl. VAT. Our double rooms have two single beds, some of the smaller rooms have a double bed. The bathrooms are roomy, and all rooms are equipped with WiFi and TV. Our ground-floor rooms even have a French window to enjoy the sound of the river and the chirping of the birds. Breakfast is included, of course. Price per night in a double room, weekdays: SEK 1,490 incl. VAT. 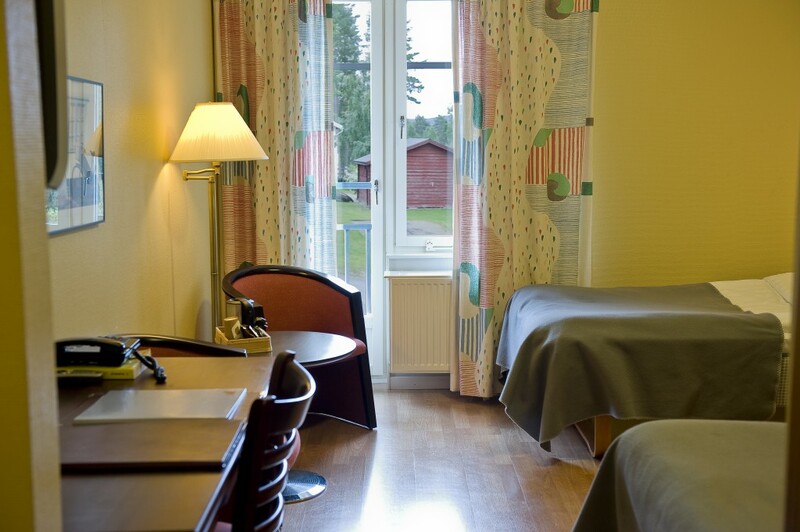 Price per night in a double room, weekends: SEK 1,030 incl. VAT. Extra bed including breakfast for SEK 250 per person incl. VAT. Our generous suite is situated on the 2nd floor and has a double bed, sofas, extra-large TV and a Jacuzzi. To top that, the room also offers spectacular views of the river. Breakfast is included, of course. Price per night in the suite: SEK 1,700 incl. VAT. For bookings, please send an email to info@hotellforsen.se, or call our reception on +46 933-397 00. We also offer accommodation in our cabins in the vicinity of Hotell Forsen. For more information, please take a look at Vindeln Camping and Cabins on our web. Price per cabin per night, off season: SEK 895 incl. VAT. Price per cabin per night, peak season (1 May until 31 August): SEK 950 incl. VAT. Bed linen and towels per person: SEK 150 incl. VAT. Final cleaning upon request: SEK 800 incl. VAT per cabin. Cleaning (if not undertaken by guest): SEK 800 incl. VAT per cabin. Potential clean-up and sanitising fee: SEK 2,000 incl. VAT per cabin. 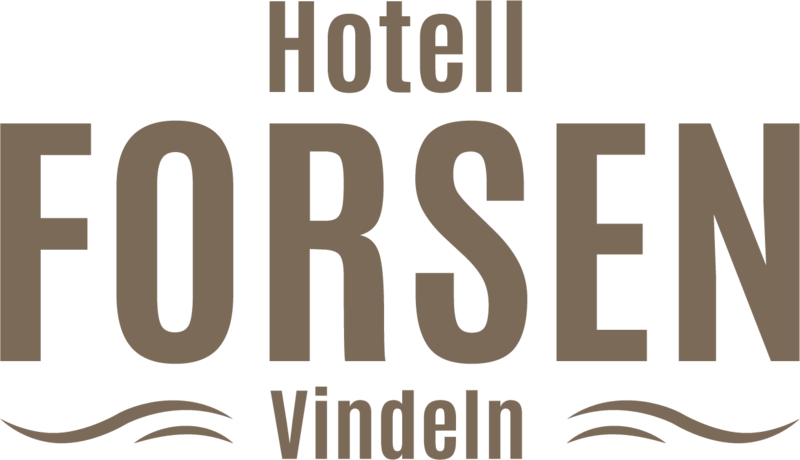 Hotel breakfast at Hotell Forsen for cabin guests: SEK 85 per person incl. VAT. Our terms and conditions are sent to you by email when you make your booking. The reception desk is manned on weekdays from 07:00–21:00. If you will arrive during our unmanned hours, please contact us in advance so we can help you get access to your room. In the case of an emergency after our reception desk opening hours, please call +46 70-626 82 46.